I'm back with another post! I thought it might be helpful to give some tips about methods and products to use for makeup for men. Many times, I'll get male models, actors or musicians and they need makeup too! Oftentimes, it's the "no makeup" makeup look and I'll show you how to achieve it! Here's a quick snap shot I took during a shoot when I was making over a Male musician. These are the exact products I used. The key is to use products that will do more correcting and cleaning up. Explaining what you're using and telling the male client what it's for also helps to sooth their fears of wearing makeup as well, lol. Part Makeup Artist, part Psychologist! 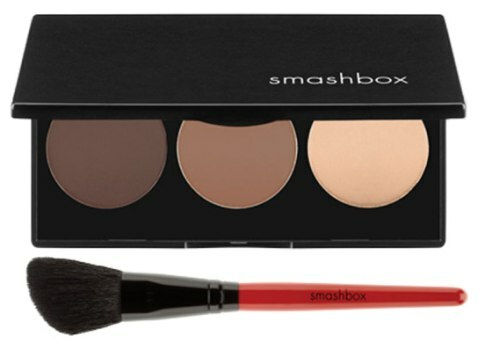 Concealer/Corrector: Use this sparingly only where the client needs it, ex: dark undereye circles, blemishes. 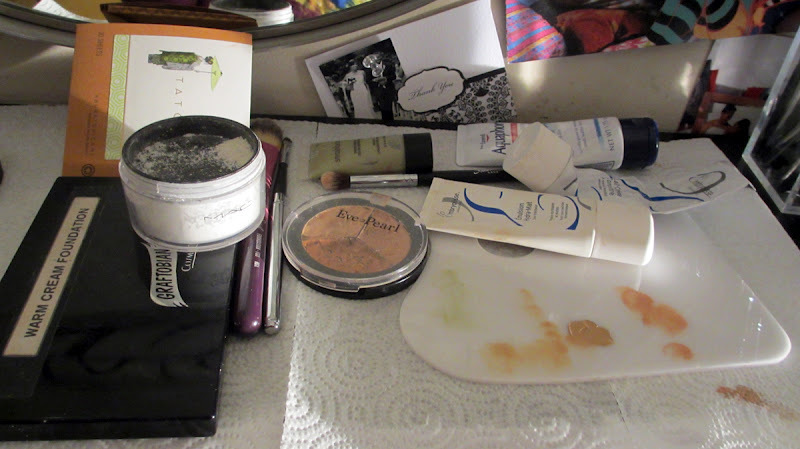 Depending on the client, I'll set everything with a clear or tinted powder to make sure everything is even. You can also consider doing a tinted moisturizer - sheer out foundation with moisturizer. It's light and more natural than typical foundation. Typically, you don't want to make their skin look too perfect. Contour Powder/Matte Bronzer: Optional. Use this to define a man's jawline...the contouring is a little bit different for men than woman. If you want a tutorial, let me know! Powder: Use to touch up. 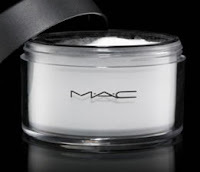 I like MAC Invisible Set Pro powder because it goes on translucent on all skin tones. Clear Mascara: Use on eyelashes and to set brows. 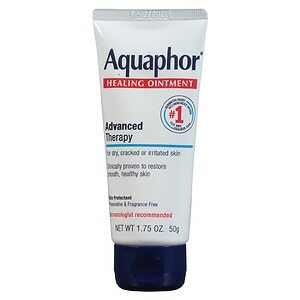 Lip Moisturizer: I prefer aquaphor. Use something that is clear and not shiny. Thin Eyebrow Pencil: Optional. 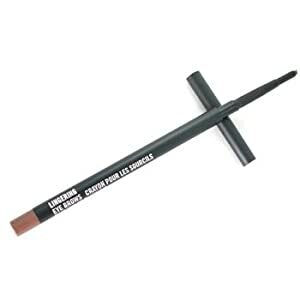 Use for filling in sparse brows, facial hair and hair line. Moisturizer/Anti-Shine: Must-have for every model. Moisturize first, then apply anti-shine to areas where they get shiny. 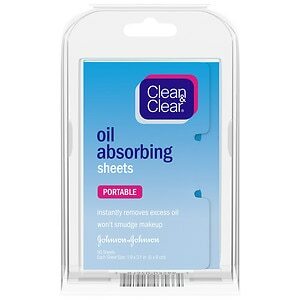 Touch-Up: Blotting Sheets. Blot away oil instead of adding product...this keeps the skin more natural. I also keep some paper towels handy...guys tend to sweat more and just need a little pat down here and there. Hope this helped! If you have any other tips, leave them in the comments below! Yes please on the contouring for men video!!! very helpful and I would love to see your tutorial :) thanks! very helpful, I have a job this weekend and they said i may work on a few dudes! I'd love to see a video on contouring for men also! Thanks ,very helpful! I'd love to see a video on contouring for men!